There are several options for places to stay and plenty Santorini villas to rent especially in the volcano side of the island where the traveller can find luxury villas Santorini style, boutique villas Santorini design and hotels with exceptional services and unique hospitality. We have searched and present to you the top rated Caldera villas Santorini 2019 with a view of the volcano and other unique characteristics based on the rating we found on Booking.com and Tripadvisor.com. We are hoping that this article can help you optain information and choose the right luxury villas santorini style with a view. This is an exclusive property located in a mesmerizing location of Santorini known as Imerovigli. Guests can easily explore the island while staying in this hotel, so it is an ideal location for visitors who are there on an exploration trip. There are various rooms in the hotel, you can choose to stay in a queen size room or a suite. The hotel also has a restaurant and a bar along the pool and guests can enjoy various cuisines during their stay at the property. Chromata hotel offers a breathtaking view from its verandas as they are equipped with iPod docking stations and you can enjoy exotic views while listening to music. All in all this hotel has been reviewed as one the top properties by guests because of its proximity to Imerovigli, moreover, the coffee blended at this hotel has been ranked as one of the best in Santorini. The hotel also offers a continental buffet to its guests and you can choose from a variety of options to eat just before you begin your daily excursions. In Greek the word Chromata means Colors. Angel Luxury Suites is a is a hotel and accommodation facility that is best described by its name. The emphasis on the design of Angel Luxury is on the interior look and the location. 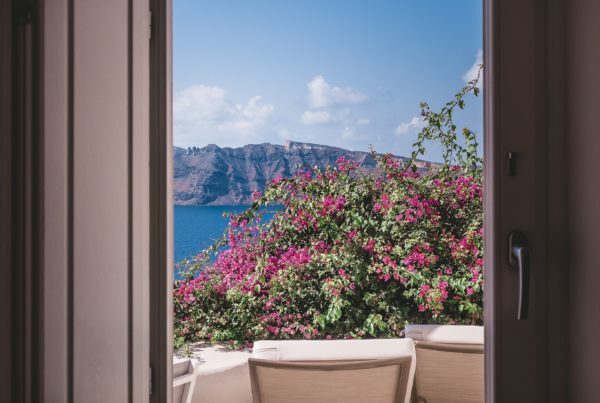 Located on the Cliffs of The Caldera, the suites offer amazing views of the natural landscape of Fira. The facility offers its visitors the luxury and gives them the chance to enjoy some of the best attractions on Fira. Its location on an island just makes it even more attractive. Guests can indulge in onshore entertainment activities such as swimming, cruises, sport-fishing among others. The property has the best ratings as compared to other properties in Fira. It is among the most attractive due to its executive interior designs. The rooms are fitted with Flat screen TV with plenty of satellite channels. There is free WiFi, hot water, bathrobes, slippers among others. Most visitors to this destination say it is a good place based on its location. They enjoy the big balcony, spacious rooms and the view of Fira from the hotel’s location. This is a luxurious tourist attraction facility located In Fira. 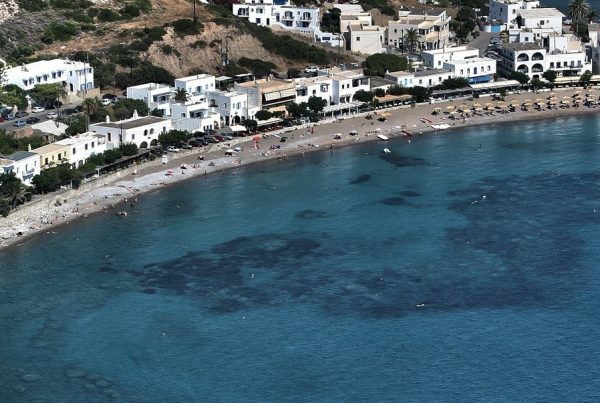 Located just 3 km from the Exo Gialos beach. The Asma is a family facility hence providing exceptional services with dedication. The location of the facility is also instrumental. The facility offers great views of the caldera and volcanoes. It is located just a few meters from the Fira square where tourists can get access to transport via Taxis or buses. The facility is also near the airport. It is approximately 10 minutes drive away from the Santorini Airport. It is not a surprise that Asma suites are rated among the best facilities in Fira. Most of the visitors here are charmed by the hospitality they receive. The facility, being a family venture, is managed by the owner and family members who are very welcoming. The visitors of the facility also love the views. The ability to enjoy the volcanoes and caldera views from their rooms is something they like most about this facility. 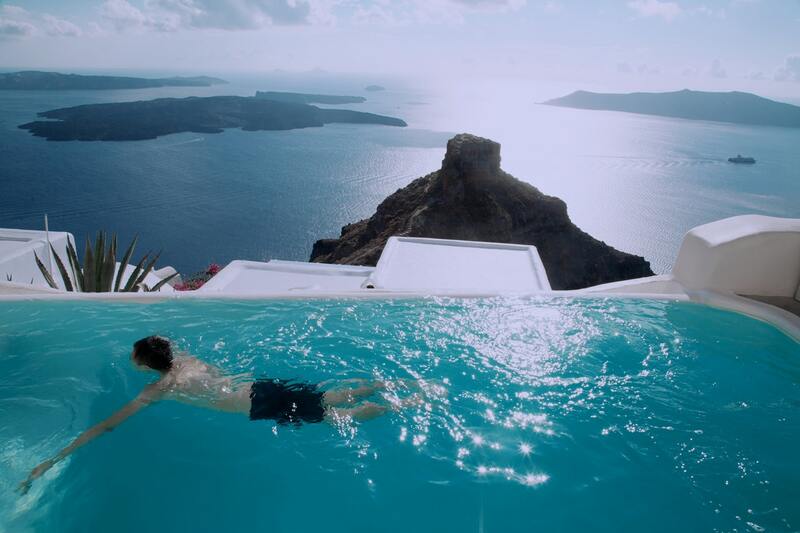 What sets Santorini Hotel apart is its location. Apart from being a luxurious hotel with ultra modern accommodation facilities, the hotel is located in the best-rated region of Imerovigli. The facility offers spacious accommodations. 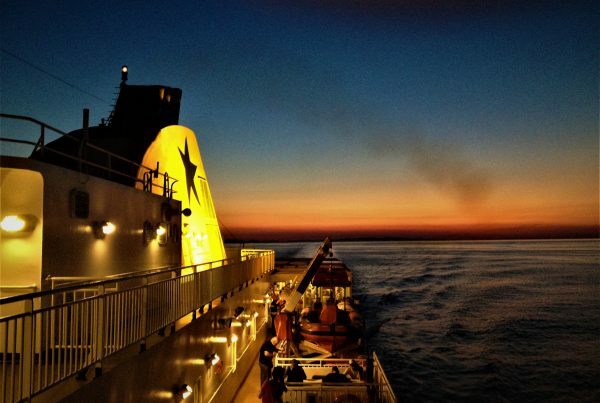 They provide great views of the Aegean sea and also has outdoor facilities. Visitors can enjoy panoramic coastal views, an outdoor pool and free WiFi throughout the facility premises. All the rooms in the facility are well decorated. They come with a flat-screen TV with plenty of satellite channels. Visitors also enjoy all-inclusive bathrooms that have hot water, a hairdryer, bathrobes and other toiletries. The facility serves American Buffet breakfast on a daily basis. Further, the guests get the chance to relax in the Spa and sauna. The spa is fully fit with treatment facilities including hot tubs and massage rooms. The visitors to this facility have complimented the good work done by the staff. This is a service based facility since it offers breakfast, spa, and accommodation services. Most of the customers have praised the dedicated work of the employees and how the services are delivered. To Book this facility click here. Located in the tranquil town of Oia, the facility is only 4 km from the coveted Paradisos beach. This sets it as a perfect destination for beach lovers. The facility provides exclusive facilities such as spa, swimming pool, and personalized services. Each unit features a fully furnished balcony with spectacular views of the seas. The interior decorations reflect an Aegean style. The accommodation facilities provide free WiFi, Flat screen TV with Satellite channels, bathrobes, and other toiletries. Guests also get to enjoy snacks and a personal minibar. The facility offers Buffet breakfast with a natural local touch. The fun activities that keep guests engaged here include yoga classes, cooking lessons, private dinners and reservations. This hotel also offers wine tasting events and is known for providing the best wine and cocktails. Most of the guests here find this facility to be very attractive. They site the sea views from their rooms and the friendly customer service as some of the strong points. The facility has been praised for its food also. Most of the visitors here find the food very diverse and tasty. Located in Caldera, Fira, in Greece, this hotel is a lovely place for the body and soul to come into harmony. The hotel does not just offer the beautiful view of the cliffs of Caldera but is right on top of it. The Asteras is loaded with luxurious buildings that offer state of the art hotel facility and services. It offers a clear view to the sea of Aegean that sparkles with beauty each morning and evening under the reflection of the rising sun and its lovely setting which is referred to as, Santorini. This work of art center is lined up with beaches that will warm up and grace your visit. Everything, from the naturally occurring plants to the erected buildings, speak volumes of its class. Its visitors have been known for feeling sad having to leave, and for leaving huge tips in appreciation of the Villa’s quality services. They have made this hotel become synonymous with perfection. It has people flooding in all season for their honeymoon as its highlighted as a sanctuary of love and romance. There is only one place you will get treated like royalty, the Canaves. This hotel in Oia offers services that can be equaled by none. It is perched next to the sea and its natural environment is that of scenic cliff views and cool breezes from the sea. The Canaves has a classic room service that caters to your every whim. It serves gourmet meals and very classic, reputable wine. According to many visitors, this hotel is the best spot to relax and unwind from the noise of the world, as it is a place of tranquil, and professional service. It has been rated highly for cleanliness, facilities, staff, comfort, free Wi-Fi, its prime location, and of course, its unrivaled value for money. Canaves has earned the trust of many and has people from all over the world travel just to experience the wonder of Santorini. Its visitors have branded it as “next to heaven,” “a thrilling land,” and “a place where everything was perfect and spotless,” just the way you would want your dream to look like. Found in the best rated main street of Oia, in Greece, “the Pearl” is indeed a representation of its name. It has been branded as “paradise on a cliff,” and with good reason. The hotel boasts a very warm and receptive staff that treats the visitors not with obligation, but with respect and true concern. La Perla is in perfect view of the sea, and the rushing waves of its water provide a meditative relaxation for its visitors. The food there has been thought of as a little pricy – but it is clear why immediately after having a bite, or a sip of their wine. It is surrounded by landmarks of beauty such as water parks, beaches, the volcano, and numerous museums around it. The Pearl, has been recommended for exceptional quality that can hardly be compared to the hotels that claim to offer these services three times costlier. The people love this hotel and have declared that a single day in this majestic land is far from enough and one just desires to cling endlessly to this hotel. This hotel provides free shuttle service to Fira as it is only 5 minutes away from the hotel. The hotel offers premium services such as a pool with a hydromassage facility giving you the perfect place to soothe your body. Lilium Santorini Villas offers high-end spa facilities and also an outdoor pool with a mesmerizing view. The hotel has a high-end bar offering diverse cocktails and drinks to keep its guests hydrated. Visitors have mostly given this site positive reviews predominantly because of its ideal location and proximity to Fira. This hotel offers air-conditioned rooms and breakfast buffet for its guests. The rooms are finely decorated with elegantly crafted pieces and every room in the hotel has its own bathroom with a hairdryer for utility purposes. This hotel has been rated the best for its exotic dishes and comfy beds. Lilium Santorini Villa has become one the highest rated property in Fira because of the premium services it excels in providing. This property is located in proximity to the Aegen sea and the rooms have a distinct feature. The rooms are built like caves and there are about 20 caves in the property, each finely decorated and instilled with a minibar; 300 year-old caves are utilized and restored into rooms giving this hotel a distinct importance. The hotel is equipped with a steam bath, sauna and a spa for giving its visitors a high-end experience of the premium services this hotel has to offer. It is located in one of most exotic locations in Oia giving it an edge over other properties of the area. The hotel provides continental, vegetarian and gluten-free buffet to its visitors. The hotel has a variety of cuisines and prepares the meals from local products. Guests can utilize the gym and while working out they can easily enjoy the exotic beauty of the cliffs from the windows. It has a rating of 5 star due to its premium services and location.